Backyard ponds are a wonderful thing. Not only do they provide a home for numerous animal and plant species, they also give you a nice calming effect. Swinging in your hammock chair in your garden and watching your pond is a great way to meditate and to center yourself. If you have a little waterfall in the pond, the bubbling noise from that can help you sleep or just help you relax. Some people even like the sound of frogs, but personally I find that less relaxing. What to do, though, if you don’t have a backyard? Well, how about an indoor pond? That’s right, you can build your pond indoors! Here’s how. First, dedicate a room in your house to this pond. Best would be a basement, because you can dig down to create the pond. If it’s a different room, you have to build the pond above the floor and you will lose some space. Basically, it’s a lot like installing a hot tub or a swimming pool. You create a new level floor that’s higher than the old one so that you have room to go down for the water. And you get in all the rocks and the grass and the various plants and the fish and whatever else you want. Now, you may be thinking that there’s probably not enough natural light to help the plants grow or even for the fish. Well, there’s a solution for that too. That solution is: plant grow lights. The same lights people use to grow plants indoors or to grow marijuana, can be installed underwater to light your pond and to help your pond plants grow. They will also have a positive effect on your fish. Of course, there are so many grow lights out there, that it’s hard to choose the correct one. For a pond, I would go with a full-spectrum white LED grow light. Specifically, the NextLight Veg8 LED panel is perfect for this application. It basically puts out light very similar to a T5 fluorescent bulb. It is a full-spectrum light that contains all the wavelengths needed for plant growth. It basically mimics the sun. Another great option are the kind LED bars. Kind LED makes some of the best-selling LED grow lights and these bars are wonderful supplemental lighting. They come in four different spectra, two for vegging and two for flowering. For the pond I would use a combination of all four. Of course these grow lights are not waterproof, so you will have to house them in a casing. 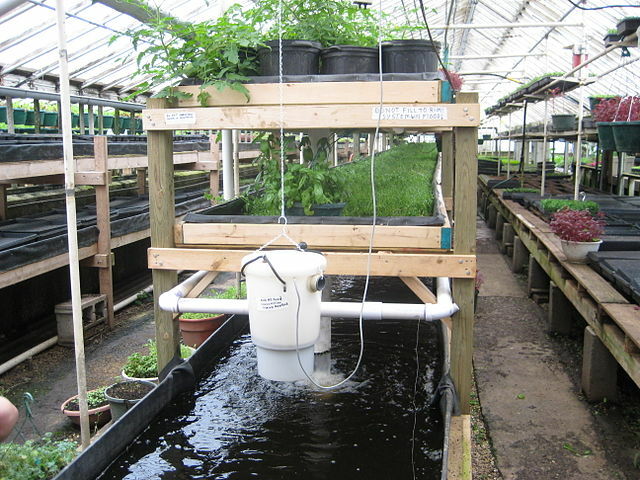 This will allow you to place them below the water level, were all their light can be directed onto your plants. Imagine the giant water lilies you will get with these lights! Generally, water plants are only lit from above, though, so it may be better to just hang the lights above the pond. The plants will grow more naturally that way, but slower. So basically have to choose when you install your LED grow lights, what you want. Do you want gigantic plants that grow completely unnaturally, but in a very interesting and cool way that will certainly have people talking? Or do you want plants that grow naturally and give you a natural looking pond? The choice is yours. Whichever you choose, we really hope you enjoy your new indoor pond. I would put a little waterfall in it too, so that you can have that bubbling brook noise to help you sleep and to help you relax. Get some fish in there and maybe get a cat, so that they can spend its days trying to fish the fish out of the pond. That way you can entertain your cat too. Again, we really hope you (and your cat) enjoy your new pond.